Cognitive skills are basically mental skills such as pattern recognition, concentration, perception, memory, language, problem solving and decisions making that are paramount for acquiring knowledge. Educational therapists contended that an analysis of fundamental cognitive skills is the first step in acquiring solution as they are the foundational tools a child uses to learn. Given poor cognitive skills, a child will not be able to grasp and process knowledge quickly, thus losing out in a fast paced teaching environment especially in the case of Singapore. Tutoring can be helpful if a child has fallen behind in his academic grades. However, a tutor does not necessarily impart strategies for learning or enhance children’s learning abilities. When learning abilities are neglected, conventional methods such as tuition and enrichment programs often do not improve a child’s performance in school and this often result in frustration for both parents and their children. 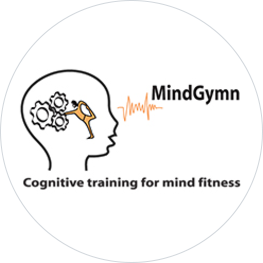 At Mindgymn, we would help your child enhance different parts of the brain functions through fun and stimulating brain training programmes. Only when both sides of the brain work together in learning, that you can trust your child to absorb faster, better and ultimately unleash his full potential.